Hello! Welcome to the Taylored Expressions June Sneak Peek Day Two! 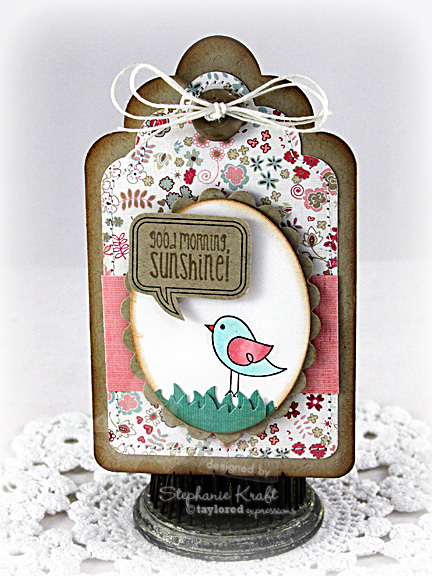 We are releasing 8 new stamp sets, 5 new dies and a new cutting plate... I know you are going to love it all! Today I have a couple of projects to show you. 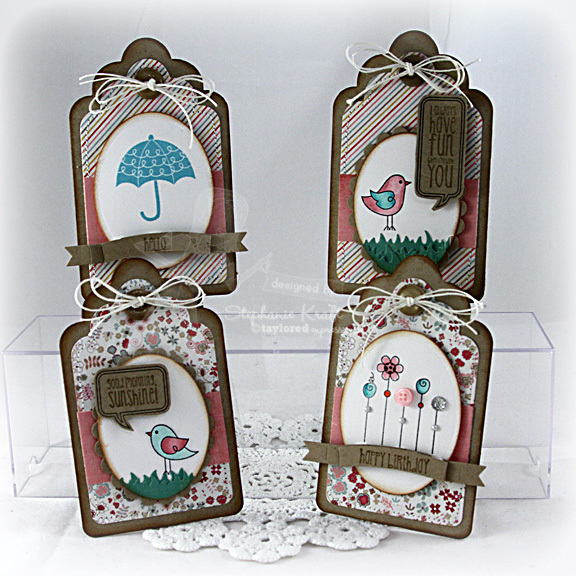 My first project is a set of tags using the Delightful Day stamp set. This set was previously only available to Key Ingredients Subscribers, but now it is available to everyone! I used the Tag Stacklets 1 for my base and also layered the next size stacklet on top of the base. Here's a closer look at each tag. For the first two tags, I used Branches, Banner & Bloom for my sentiments. 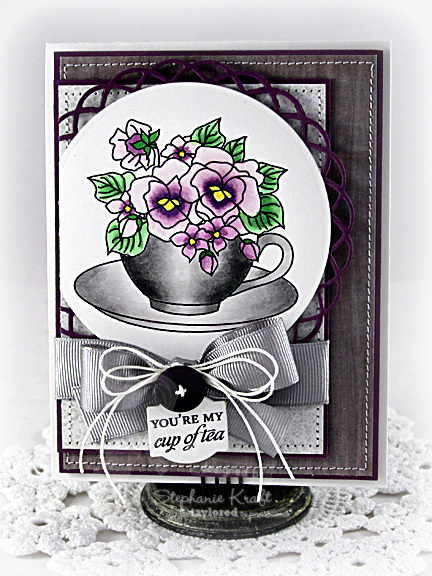 My next card uses the newest bouquet, Teacup Bouquet. 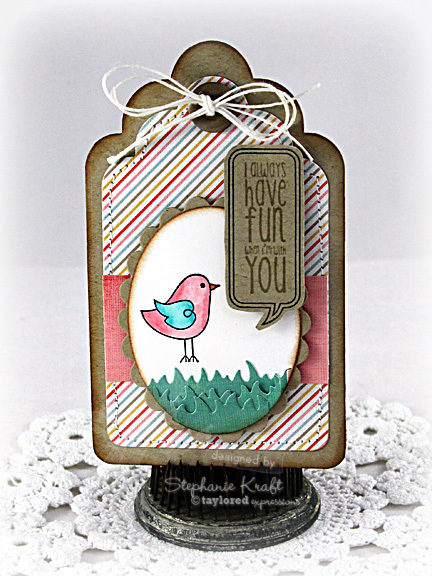 I stamped the sentiment on one of the Designer Mini Tags. 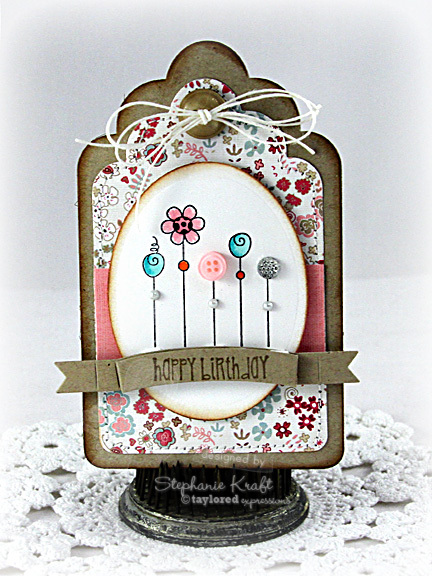 Accessories: Taylored Dies: Tag Stacklets 1, Delightful Day Conversation Bubbles, Grass Border, Branches Banner and Bloom (Taylored Expressions); Classic Oval and Scalloped Oval Nestabilities (Spellbinders), Markers (Copic), Kraft buttons (MFT), Pearls (Kaisercraft), Button candy dots (Pebbles), Twinkle Goosebumps (Queen & Co), Hemp cord, Foam tape, Thread, Sewing machine. Accessories: Taylored Dies: Layering Doily Die – Large, Designer Mini Tags (Taylored Expressions); Circle Nestabilities - SM (Spellbinders), Markers (Copic), Grosgrain ribbon, Button, Hemp cord, Foam tape, Thread, Sewing machine. 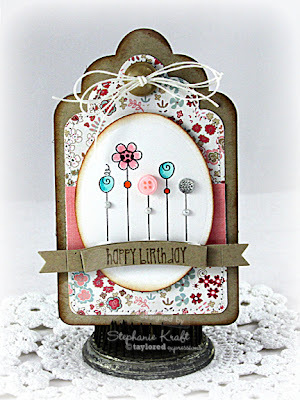 Your tags are all sooo adorable, Stephanie...such wonderful colors, stamps, and details!!! 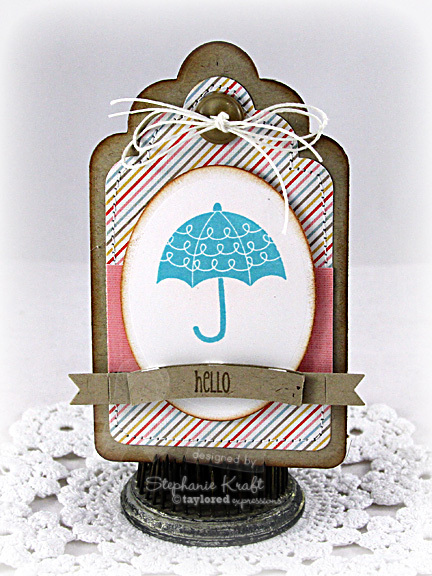 The teacup card is gorgeous, too...what beautiful coloring and I loooove the color combo!!!! Wonderful project Stephanie! Especially LOVE the tea cup.